Does your system lag or does it seem to have any unusual behavior, if it does there is a high chance of malware infection on your computer. Here are some tips to get scan your computer for malware and some tips to get rid of malware. How To Scan Computer For Malware? Install a good antivirus program such as Comodo Antivirus. 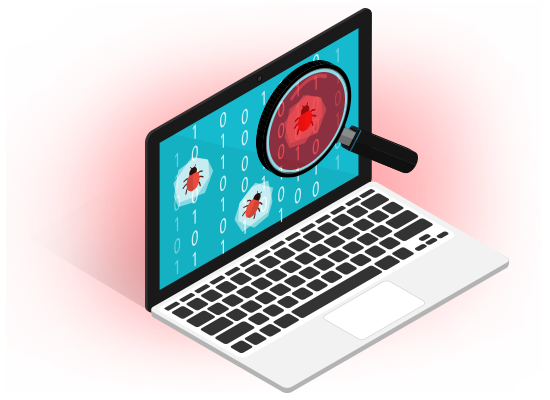 An antivirus program can detect malicious files because it has a database containing the definitions of many different types of viruses, spyware, adware, worms, Trojans, keyloggers and many others. Any computer that connects to the Internet should have antivirus software installed. Using the folder option on your Windows computer, you can configure your computer to show hidden system files and display file extension for known files. If you are not able to access those folder options or some of your system files are gone missing, malware might have disabled it. If your computer suddenly becomes sluggish with frequent system crashes and freezes, then it is a clear sign of a malware infection. In fact, opening various software applications and windows will take too long to load or open if there is a malware infection. If you find any suspicious files with unknown file extensions on your computer or in your external storage media files, it might be a sign of malware infection on your computer. Apart from the signs mentioned above, malware can bombard your computer screen with multiple pop-ups. It can also execute applications that will transfer your files from one folder to another. Some malware can even wipe out your data stored on the computer. The best way to remove malware and to prevent future infection is to install a good antivirus software such as Comodo Antivirus on your computer. For organizations, finding and removing malware is not easy. There may be multiple legacy endpoints/devices deployed at different locations. Hence, it is challenging for organizations to implement security at the granular level. Comodo Advanced Endpoint Protection (AEP) is an ideal solution for such scenarios as it offers all-around protection across devices and OS platforms. With built-in containment engine and 'Default Deny' platform, Comodo AEP provides complete protection against any malware threat including zero-day malware.